Browns Point lighthouse in Tacoma Washington. 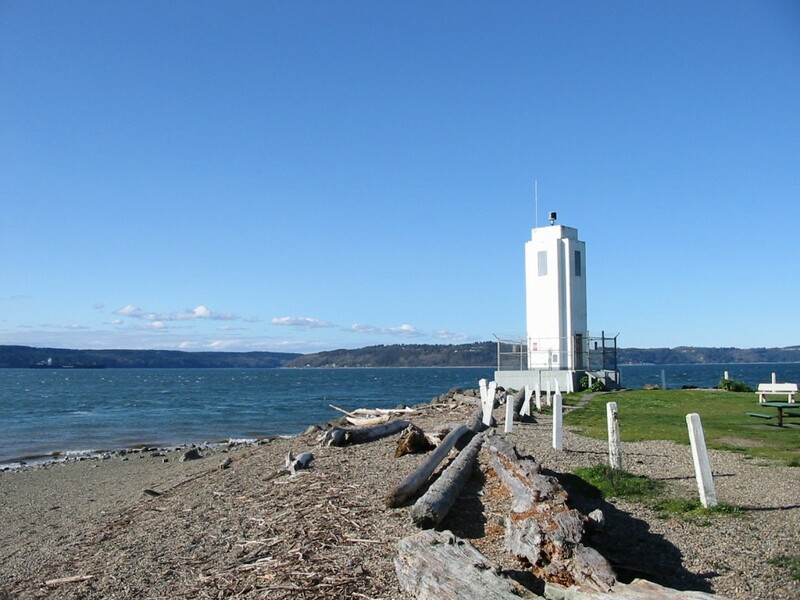 Browns Point is located off of Marine View Drive between Tacoma and Federal Way. This Lunker location is a local hot spot for fishing a variety of Salmon when they are running. Browns point fishing access in at the lighthouse park and offers a nice long stretch of beach to pitch herring or buzzbombs from. Season usually starts in July and runs till the end of the year. Occasionally Stacked! On occasion anglers are stacked about 6 feet apart when the run is hot. Get there early to secure your spot or you may get pinched out. Become a member of Lunkersguide.com to view our Lunker location map to Browns Point fishing access.